It’s time to say goodbye to 2009 and I thought I’d do my annual year in review. I just talked about the favorite books of the year and now I get to tell you a bit more of what my reading year was like. I read fewer books than I’ve read in previous years but what I liked a lot about this reading year is that it felt a bit more inclusive, especially in the beginning of the year. I felt like my reading was taking me to lands faraway (real & imagined), I was reading more short stories, more non-fiction, etc. I felt like I was really covering more ground with my reading. Towards the end of the year with all the craziness of house move, holidays, etc. I relied a lot more on mysteries to get me through the stressful times and so that number got a big bump in the last two months of the year. I don’t mind though as I’m a big fan of mysteries and I read some wonderful ones. As I’ve mentioned before, I don’t do New Year’s resolutions but I do have a few bookish wishes. For example, I am still hoping to read more classics, more poetry, more short stories and more non-fiction. I want to continue reading books that take me to faraway places. 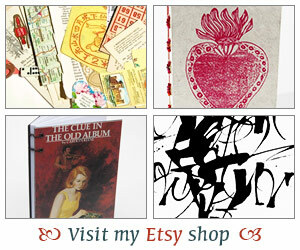 I want to discover more gems from collections such as Persephone Books and NYRB books. But most of all, I want to keep discovering new authors to call favorites. Here’s wishing you all the best in the new year! You did much better with your total than I did! I read 52 books, and I DNF 8 books. Haven’t really done any more of a break-down than that. I did a terrible job posting about what I read, so that’s definitely a goal in 2010. Happy New Year! You read so many books! How do you read so quickly? What’s your secret? Happy New Year! 83 sounds like a lot..I had a miserable year in terms of total number of books but I definitely enjoyed reading all of the blogs…yours included! Good luck as you continue to settle into your new home! Priscilla – Oh I didn’t make a note of the DNF books although I don’t think it was that many. I need to do a much better job of book reviews. I guess sometimes I just get so caught up in reading that I forgot to talk about the books. haha. Dana Huff – You’ve got to see what some of my other blog friends read. I know several who read well into the 150s and beyond. Isn’t that wild? I don’t think I read that fast but maybe I do. A good year. I think all our reading plans fall apart when we get busy and stressed, at least mine do. And that’s ok. Happy New Year! I’m sooo jealous. I only read 42 books this. I feel like such a slacker. It is sooo good to have you back. Happy New Year Iliana and may your reading wishes come true in your new abode. It sounds like you had a good year overall, Iliana. I hope your wishes become reality. Have a wonderful New Year. Happy New Year Iliana! You had a great reading year 🙂 I hope you discover some wonderful reads in 2010! Happy New Year! You had a very impressive reading year, despite all the changes going on in the background. You have inspired me to keep a reading list and idea of what I read in 2010! You had a great reading year! The numbers are not as important as whether you’re happy with what you read. 🙂 Wishing you all the best in 2010. It sounds like you had a great reading year! This year I want to read more short stories and non-fiction too. I read somewhere of a blogger who reads one short story in the morning. I think I’ll try it. Happy New Year! You still had a good reading year! Happy reading in 2010! Your bookish wishes sound good to me. I hope to read more classics as well. Hope you’re all settled in your new house now. Your plan sounds good! Here’s to many hours of happy reading! I think you did well considering the end of year craziness. Here’s to another great bookish 2010!